Battle across four new maps on the tropical planet of Scarif. 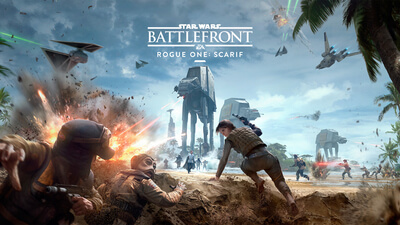 Play as two new heroes Jyn Erso and Orson Krennic, and blast opponents in a brand new multi-stage game mode with new weapons and Star Cards. 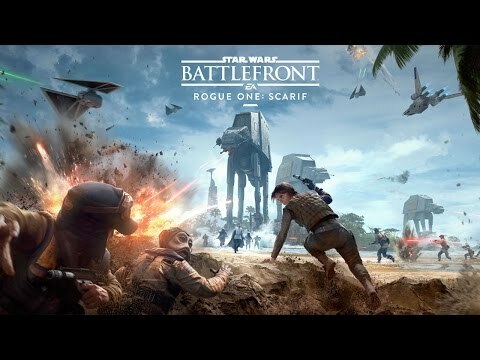 Even though I didn't connect with either character, I think Scarif comes out strong with its vibrant setting and stellar maps. The new multi-part Infiltration mode is uneven, yes, but it's also Battlefront at its best. In fact, if it weren't for Bespin, this final expansion would be my favorite. Now we just need DICE to hurry up and consolidate the fragmented player base. Battlefront 2 isn't that far off. If the rebels succeed, their next task is to simply capture one of two control points. Basic stuff, really, and with another successful objective under their belt, they’ll have to carry flag-like objectives to an extraction zone to seal the deal. With three flags constantly active, there’s pressures on both the attackers and defenders to mark each route and push back the opposing team.